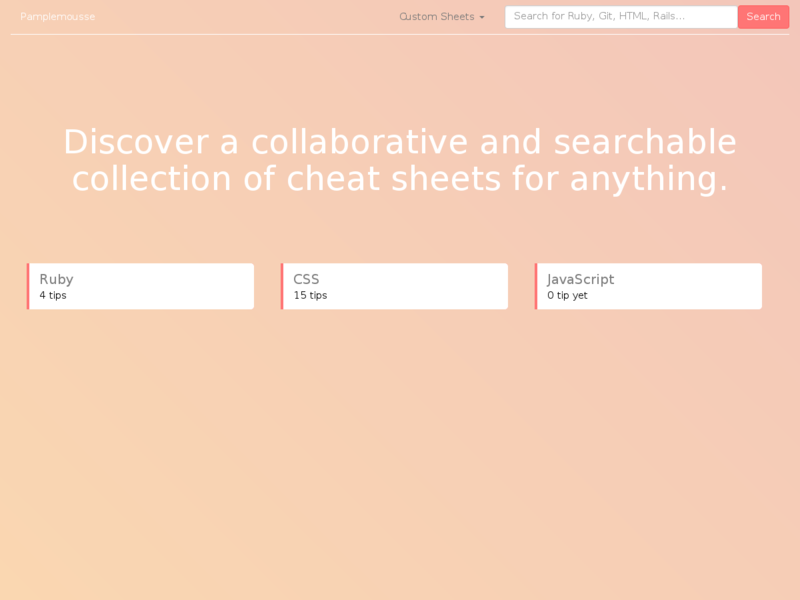 A collaborative and searchable collection of cheat sheets for anything. When you are coding, when you get yourself use to photoshop or when you are studying for a math exam, you always need an aide-memoire to boost your productivity. Pamplemousse is a platform where you can find or build the cheat sheet that will help you and share it with your team or with the world. 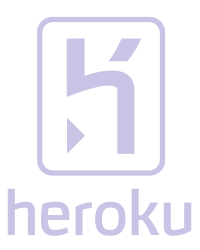 Heroku, Heroku PG, Ruby 2.2.3, Rails 4.2.4, Puma, Redcarpet, Rouge, Ancestry, ActsAsTaggableOn, Slim, PGSearch, Bootstrap-Sass.